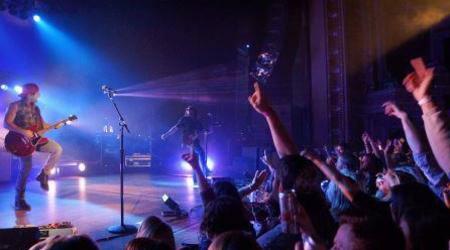 Chattanooga is the third rising star for music cities in Tennessee. 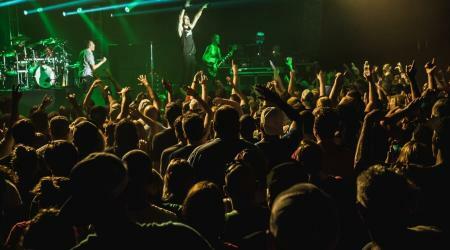 Whether you like soulful singer/songwriters, classic rock n’ roll, jazz, or hopping dance parties, there’s a music venue for everyone in the Scenic City. 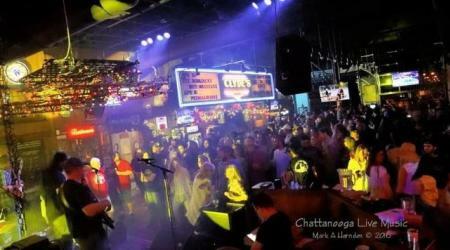 Click here to view a Map of Chattanooga&apos;s Music Venues. Founded in 1993 and named after the rugged apparel of the Appalachian woodsmen of centuries past, Barking Legs Theater hosts a wide variety of music, dance and improv productions. 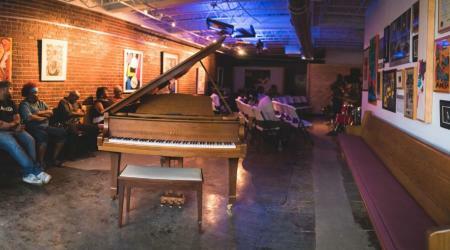 The venue serves as an intimate setting that holds 175 patrons, just minutes away from bustling downtown Chattanooga. 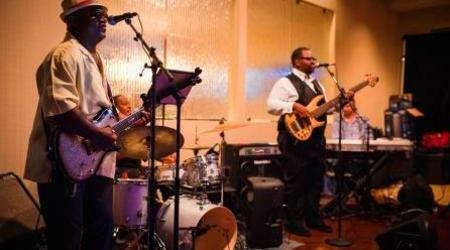 Head there on Wednesdays nights for live jazz music in the lounge! Clyde’s on Main is a Southside hit! The popular bar located in downtown Chattanooga is not just any ordinary place. Along with having a great food and beer selection, this venue offers live music that hits just the right notes after a long week.This is the place to be for great live music, drinks, games, and great times. 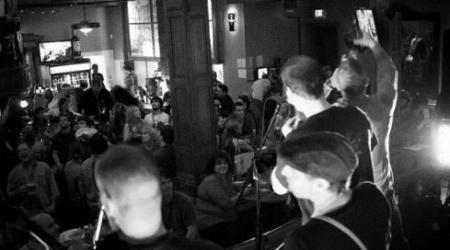 Located on the quaint Patten Parkway, the Honest Pint serves as the downtown community’s neighborhood Irish pub. This restaurant and music venue offers a welcoming environment for friends to gather after work to relax, or kick up their heels on the weekend. Offering pool, darts, regular live music and homemade specialties, head to the Honest Pint and enjoy being among friends. 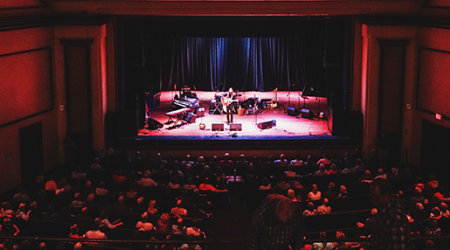 This recent addition to Chattanooga’s sprawling music scene is a wonderful place to take in the sights and sounds of sweet Southern Jazz music. This venue’s location on the historic M.L. King Blvd. in downtown Chattanooga is no coincidence either, having served as the city’s main jazz strip for many years past playing host to people like Bessie Smith and James Brown, to name a few. 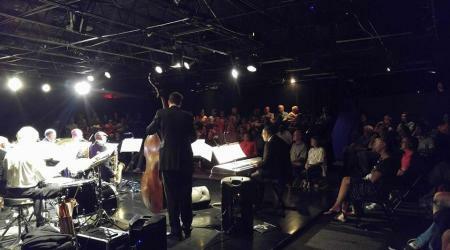 The Jazzanooga Arts Space puts a new twist on the past, and features many local and regionaljazz, soul and R&B musicians. In what started in 1921 as a memorial to veterans of the war, Memorial Auditorium has evolved over time into a 3,866 person concert hall. 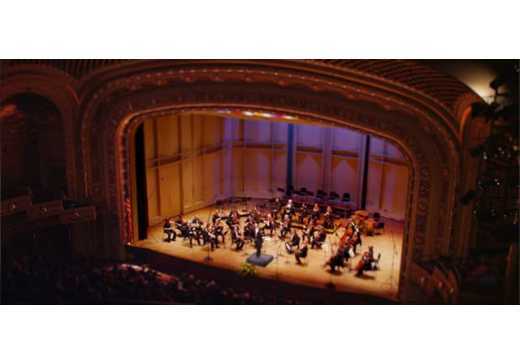 The auditorium offers the best in technical savvy that national touring artists need, all while preserving the historic landmark&apos;s architectural integrity. Located inside The Chattanoogan, one of the cities’ most premier luxury hotels in the surging Southside district, The Foundry is a unique upscale lounge that serves fresh deli food and plays host to musical acts from around the region in an intimate and sophisticated setting. This recent addition to the eclectic Southside district of downtown Chattanooga is a fantastic mixed use venue. The Granfalloon is an intimate venue where the rustic and industrial ambiance of Chattanooga’s past can be taken in as patrons enjoy fresh crepes and ice cream from Adelle’s, and then swing on over to the café and take in some fun live entertainment all within walking distance to some of Chattanooga’s top destinations. 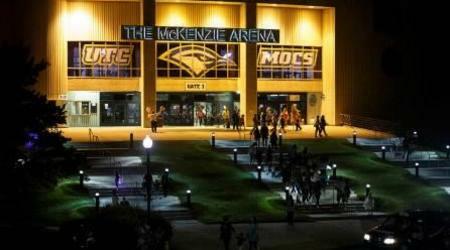 The 12,000 seat Mckenzie Arena is located on the campus of The University of Tennessee at Chattanooga. In addition to being home to the UTC Basketball team, it serves as one of Chattanooga&apos;s premier live music destinations which has played host to Elton John, James Taylor, and many other national touring artists. Chattanooga&apos;s newest live music venue. The Signal is located in an industrial chic warehouse-style venue; equally suited for live music, receptions, fundraisers, corporate events, video shoots, trade shows, and conferences. The Signal comfortably accommodates parties from 50 to 1300 with a variety of set-up and room options. The versatile, open floor design is accented with exposed brick walls and a lofty steel beam ceiling your guests will love. Complete with backstage suites and easily accessible loading area for vendors, The Signal easily adapts for any type of event. The 1,762 person Tivoli Theatre is located in the downtown of America&apos;s Scenic City and offers those who have grace its halls a once in a lifetime entertainment experience since its opening in 1921. Over time the theatre earned its nickname, "The Jewel of the South" as Chattanooga&apos;s premier entertainment venue. During that time the Tivoli became a place where people from all over the region would come to enjoy silent movies and Broadway shows. In 1973 the Tivoli was placed in the National Registry of Historic Places, impressing its name and storied history into the books for all time Currently the Tivoli serves as the home of the Chattanooga Symphony and Opera Association as well as a destination for artists like Bob Dylan and Gregg Allman among many others. 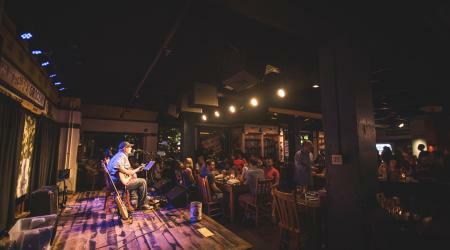 Located right in the heart of Aquarium Plaza, Puckett’s Grocery & Restaurant is a friendly community kitchen, with live pickin’ performances just a few feet from your table. 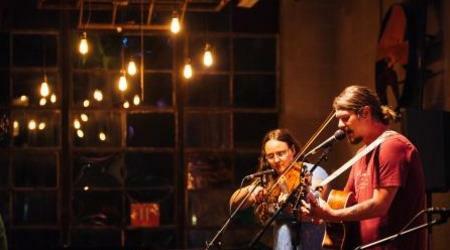 Good local talent, kickin&apos; bbq, and a warm welcoming atmosphere, what else could you need? Songbirds s is a guitar-oriented, pop culture experience for the whole family. 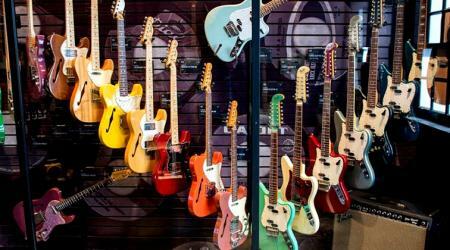 Explore the collection of over 500 rare, vintage guitars and experience American history as you walk through the revolving exhibits on the campus of the world-famous Chattanooga Choo Choo. Enjoy live music on the North and South Stages that both provide a unique experience for live music enthusiasts on Chattanooga’s Southside. Songbird&apos;s North Stage, located upstairs, currently accommodates 200 seated visitors in an intimate setting surrounded by hundreds of vintage guitars. The South Stage, located downstairs, has standing room for up to 500 guests and an incredible new sound system. 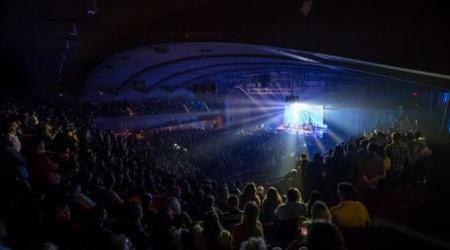 The intimate Walker Theatre is upstairs from the main level of Memorial Auditorium, with a seating capacity of 851. This proscenium stage theater is accessible by escalator and elevator from the main lobby, and is completely self-contained with its own restrooms, dressing rooms, concessions and lobby area. 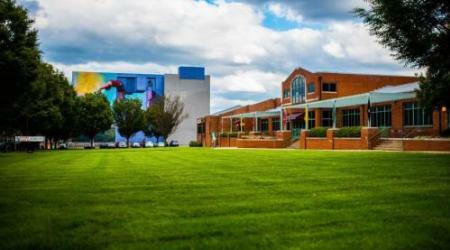 The Walker Theatre has been used for children’s theater productions staged for school groups, dance studio recitals, film screenings, church services and spoken word programs.